or email us at sales@roundhillpinesresort.com. Round Hill Pines Beach Resort offers a truly unique wedding, reception & group venue. Nestled in the trees, this beautiful and intimate Lake Tahoe cove affords unobstructed views of Lake Tahoe, Mt. Tallac and the surrounding Sierra peaks. 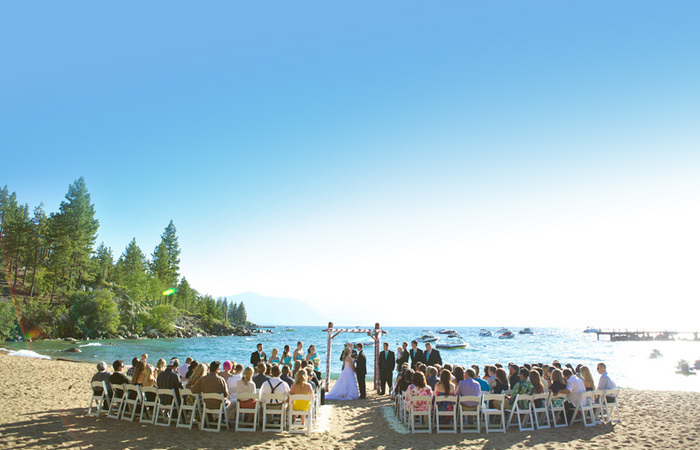 These amazing panoramic views of Lake Tahoe provide a breathtaking backdrop to your exquisite affair. Your wedding or group function is sure to be an event to remember. 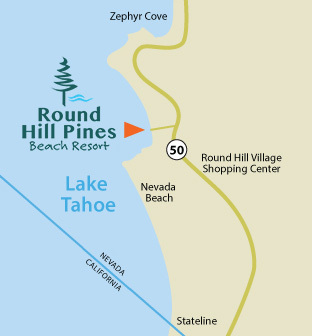 Whether you are looking for a lakeside wedding ceremony, sit-down dinner reception, casual cocktail reception, rehearsal dinner, or just a place for your group to picnic and enjoy Tahoe, our professional wedding, group & catering staff at Round Hill Pines Beach Resort is thrilled to accommodate groups up to 250 guests. For group event information click here.